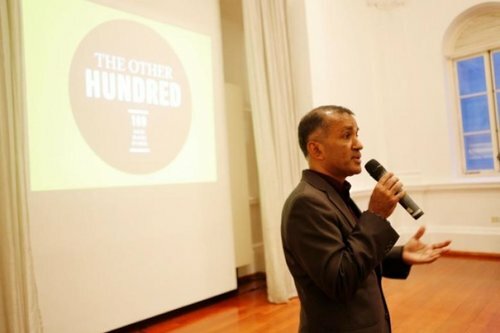 An exhibition was held by East West Group and GIFT at The Arts House in Singapore to showcase work from The Other Hundred and bring the book to a wider audience in Singapore. Project Director Chandran Nair introduced the project and winning photographers Bernice Wong and Edwin Koo spoke about the stories they submitted and their experience being part of The Other Hundred. All proceeds from the event were donated to the Tsao Foundation to support their work in promoting successful and active ageing through healthcare, job training and public education. We are both proud and grateful for the opportunity to host The Other Hundred's first international event and have many more planned to follow.